There was also a substance believed to be heroin that was packaged for sale. Eight people have been placed under arrest following what Cleveland police called a "significant drug bust" in the city's Glenville neighborhood. Authorities say the bust occurred Tuesday on the 11300 block of Hopkins Ave., with SWAT, vice, and K9 officers among those assisting. 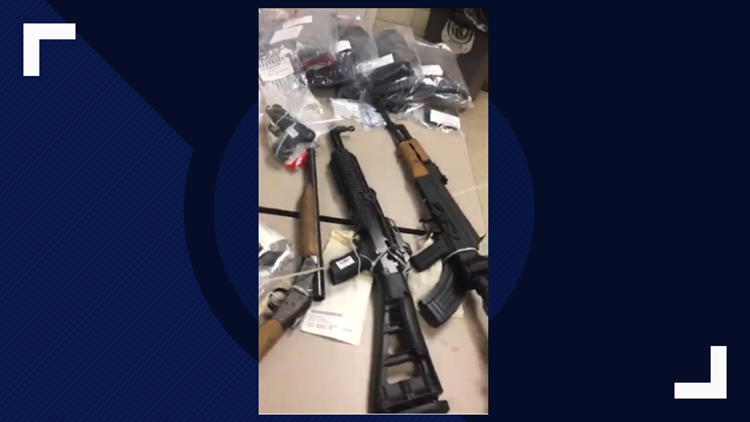 The operation resulted in the seizure of 10 firearms and more than 800 rounds of ammunition, 236 grams of cocaine, and three pounds of marijuana, the latter two each having an estimated street value of $20,000. There was also a substance believed to be heroin that was packaged for sale. Two cars, more than $8,000 in cash, and multiple drug trafficking tools were also found. "This is just one of many examples of success that happens when the police and community work together to solve our neighborhood's problems," the Cleveland Division of Police said in a statement, adding that they had acted on tips from other people who lived in the area.